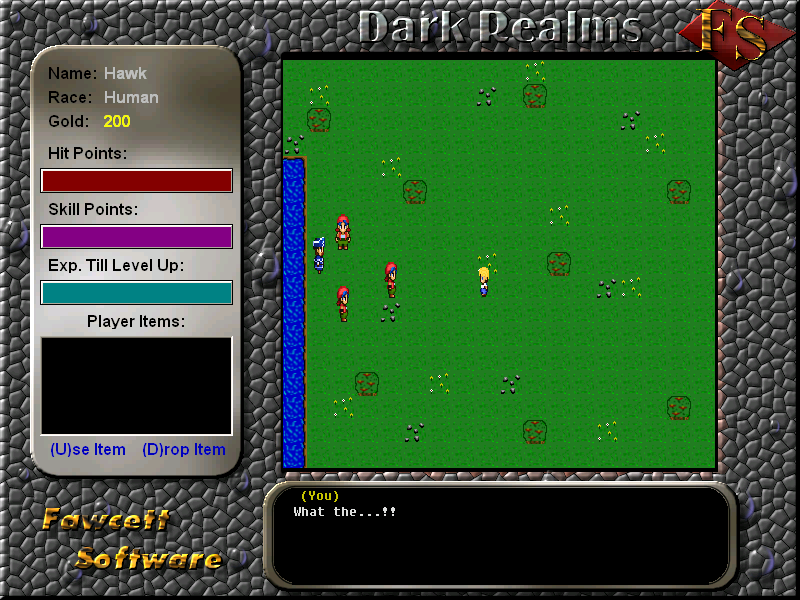 Dark Realms is an offline classic RPG, it DOES have animation in limited proportions at the moment and should gain alot more (animated tiles/images) by the end of the project. Currently there are over 113 animated NPC images available in the resource pack along with a tileset with the capabilities to handle 2500 seperate and distinct tiles. 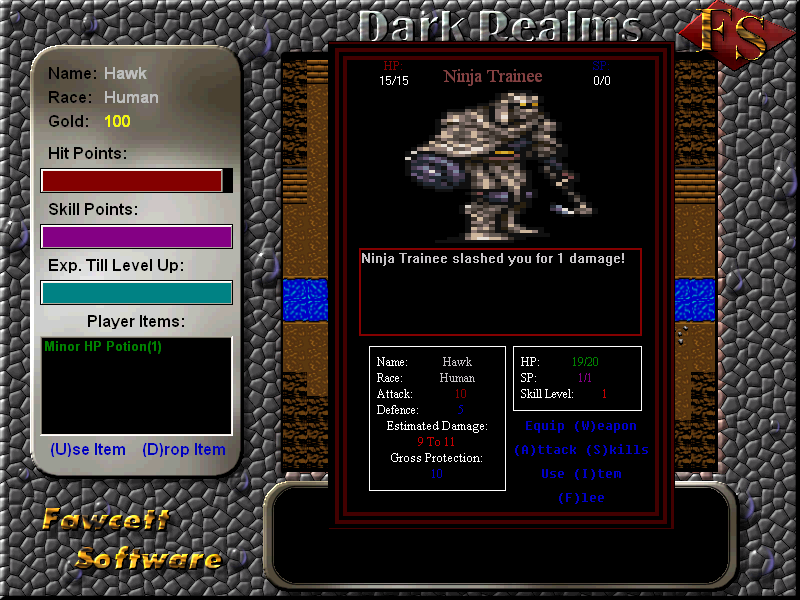 Dark Realms also includes many built-in editors that can be used by the player to create his/her own realm that they can upload to us and we will host it on the Official Dark Realms Site. 1. 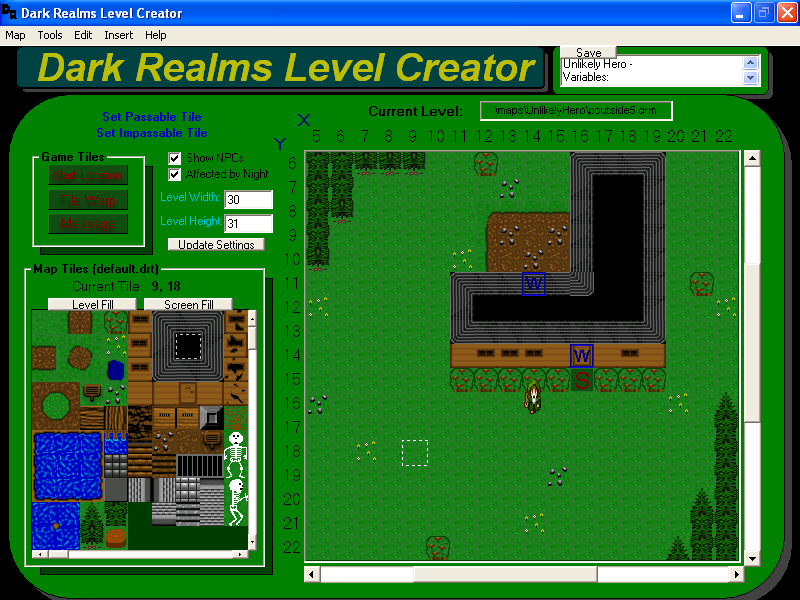 Level Creator - this will allow you to edit the graphic landscape of your levels and add/edit/remove warps/messages/ground items/NPCs. 2. 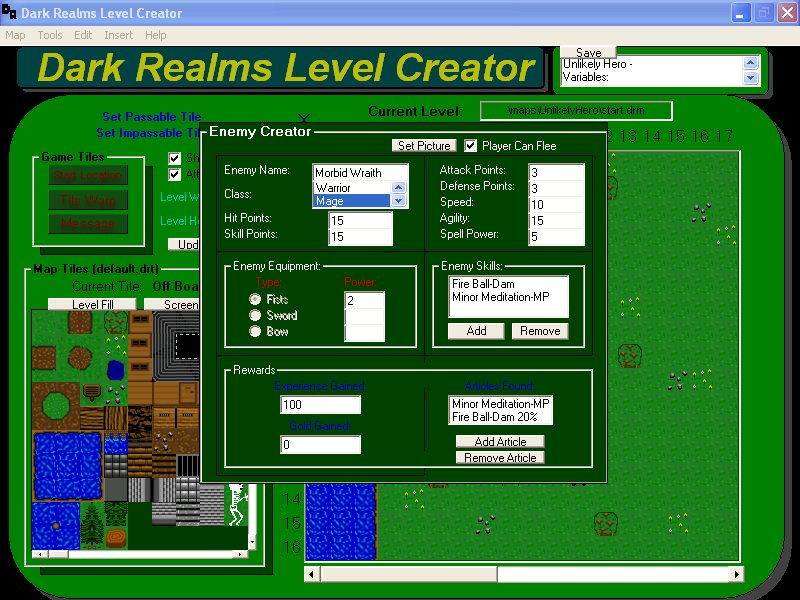 Equipment Creator - This allows you to create your own weapons for use in your realms, if you are not using an NPC image for the player you can also attach an image file to it and it will change the way the player looks as he changes his equipment. 3. Skill Creator - You can create skills using this, these use Skill Points and can only be used in combat. 4. Item Creator - Items are created here, you MUST have a saved event file to link to an item as this is how items do things. They can be used in combat or normal mode depending on the creators settings. 5. Event Creator - Perhaps the most complex tool of Dark Realms is the event creator, this is what allows the creator to make the game a game. You can manipulate the player or NPCs, show messages, warp, change variables, shop, etc... More is being added as they are thought up. 6. NPC Creator - This is only for use if you have equipment pictures that you want on an NPC, you can load the equipment up and it wil show you an image of the NPC depending on the equipment you load into it. You can then save it and it will save it into an NPC format so you can use it in your realm.